Muscat - August 4, 2018 : The iconic and internationally acclaimed sporting event Ironman 70.3 will be held in the Sultanate of Oman, supported by the Ministry of Tourism (MoT). The triathlon competition will be held in the capital city of Muscat, which will create a perfect backdrop for Ironman 70.3, offering guests an opportunity to visit Muscat and enjoy the hospitality of the city and the people of Oman. In the run up to the Ironman 70.3, Oman will also host its first ever 5i50 triathlon on November 18. It is with pride that Oman Air, the national carrier of the Sultanate of Oman will be supporting the event as the Official Carrier. Through this event thousands of athletes and spectators are expected to flock to Muscat. 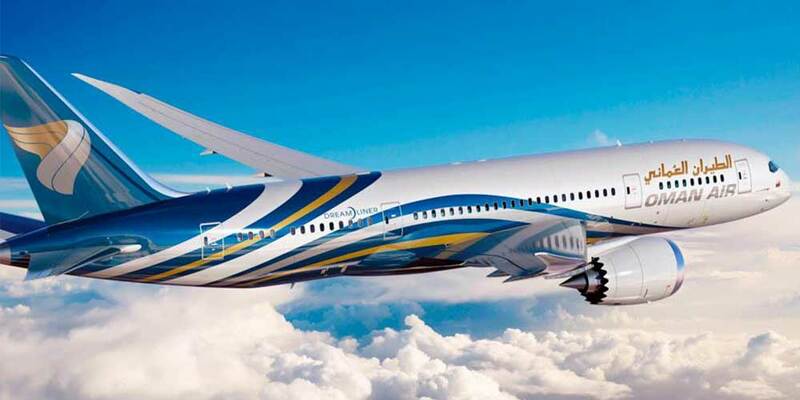 Oman Air offers up to 200 flights per day into Muscat which will ensure an easy and seamless access to all those that are participating in the event. Additionally Oman air will offer free bike carriage to the guests that will participate in Ironman event. For those guests that require accommodation and transfer services in addition to the air ticket, Oman Air Holidays has some great packages on offer.